The Alexander Universal Furniture Raiser Mk2 ​fitted with the Round Cup Attachment is designed to safely and discreetly raise the height of a chair, armchair or settee. The raiser comes supplied with four 6cm diameter round cups to hold the castors/legs of the furniture; but alternative shapes and sizes of cups are available which simply replace the standard cup. See Related Products. The raiser is height and length adjustable – See Specifications. The new MK2 design has been Independently tested by FIRA (the furniture ombudsman) for Stability, Strength & Quality) and boasts our flagship Furniture Raising Standard M&A 5094. The raiser is easy to fit and requires no tools. Your chair legs or castors sit neatly within the 6cm diameter cup and are held in position with a small clamping screw and a protective cap. The raised furniture does not need to be re-positioned against a wall for support, which is an important safety consideration when choosing any furniture raising device. The furniture is capable of being repositioned around the room, for relocation or vacuuming purposes without fear of the raiser becoming dislodged. The raiser is fully Hoist, Stand-Aid & Patient Handling Device Compatible. This quality product is manufactured from high grade tubular steel and has a weight limit of 635kg (100st) when two or more frames are used together. Product is supplied with two base frames and four 6cm diameter round cups. Fully Hoist, Stand-Aid & Patient Handling Device Compatible. Discreetly raises the height of a chair, armchair or settee. 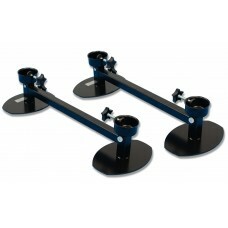 Locates and securely clamps onto existing furniture legs or castors. Telescoping frames ensure fitting to most sizes of furniture. Manufactured from high grade steel. Other cup sizes available for alternative types of leg fittings or castors. 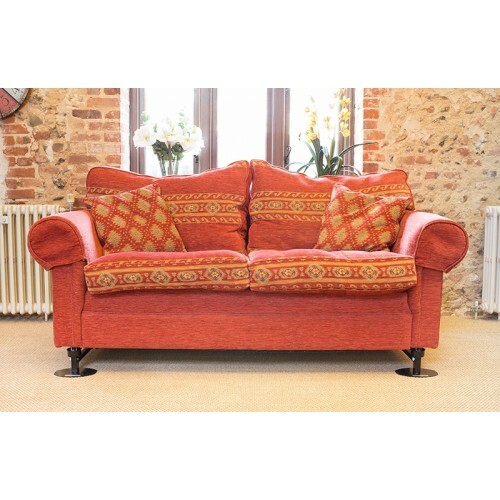 Additional frames available for centre support on settees if required.